A greenhouse for crop production is a complex thermodynamic system where the indoor temperature and the humidity conditions have a great impact on the crop yields. This system can be considered a multivariable input output system MIMO. This paper aims at presenting a physical model of a greenhouse, experimentally validated, in order to propose a fuzzy-based controller to manage the indoor climate of a greenhouse using some actuators (induction motors, heating system etc.…) for ventilation, heating, humidifying, and dehumidifying purposes. In addition, a novel approach is presented for energy management by involving the photovoltaic energy in order to minimize the use of conventional electrical grid and to lower costs of agriculture production. The photovoltaic (PV) generator will serve to power a direct torque control (DTC) controlled induction motor which drive a variable speed fan. The validation of the physical model shows a high agreement with the experimental measurement. The simulation results show the effectiveness of the fuzzy controller as well as the PV generator for saving the energy and lowering the costs of crop production into greenhouses. 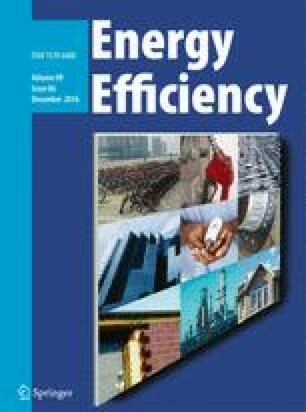 I testify on behalf of all co-authors that our article submitted to Energy Efficiency: Title: An intelligent system for the climate control and energy savings in agricultural greenhouses. All authors have been personally and actively involved in substantive work leading to the manuscript and will hold themselves jointly and individually responsible for its content.